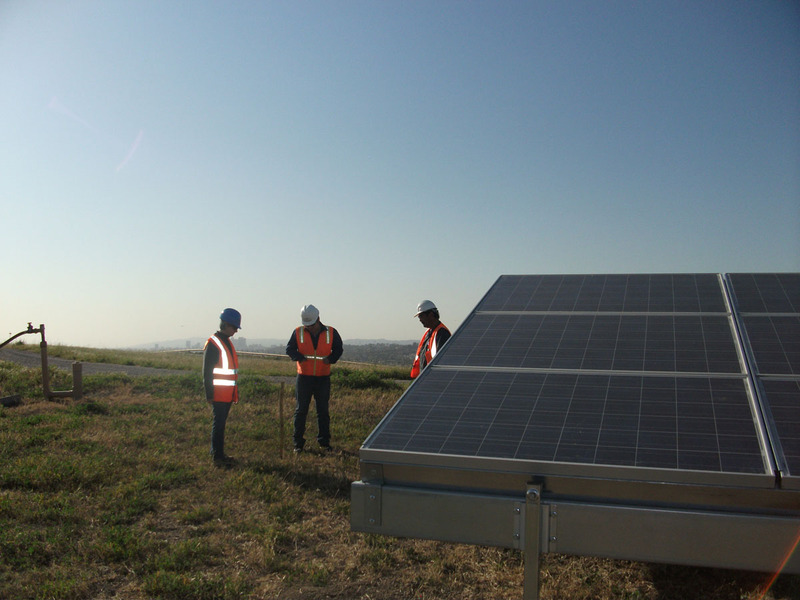 Project Navigator, Ltd. has expertise, gained since 2007, in the assessment, and development planning for solar power projects. We are able to manage a solar project from conception to completion. 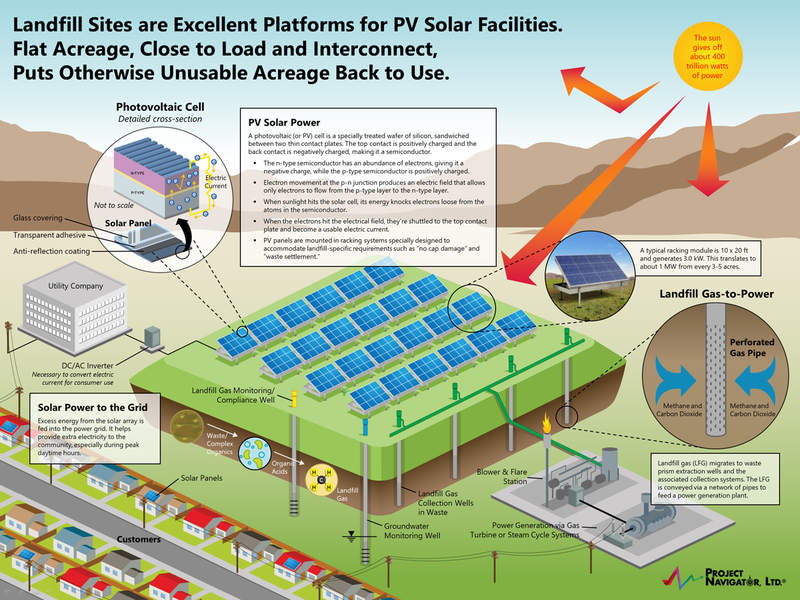 See our solar development solutions at PVNavigator. PNL's recent work for both fee paying clients and joint venture partners has been in the areas of project siting studies, environmental permitting, project conceptual design and overall project feasibility study economics. We have especially focused on evaluating the potential of siting solar projects on inner city urban land close to transmission capacity and load. We are expert on the planning and development of solar projects on capped landfills, where our solar experts work in partnership with PNL's landfill remediation engineers. 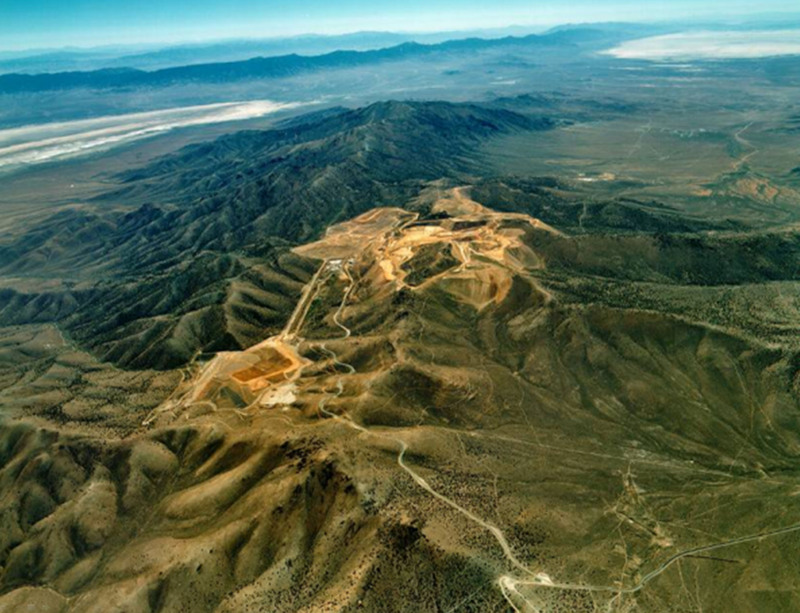 Since our founding in 1997, Project Navigator, Ltd. has operated a landfill closure project management group. Our Team has a rigorous understanding of landfill closure engineering, and approaches for post-closure site development. PNL has specialized in one particular approach...namely the permitting, design and development of photovoltaic (PV) solar power installations on the engineered caps of closed landfill sites. 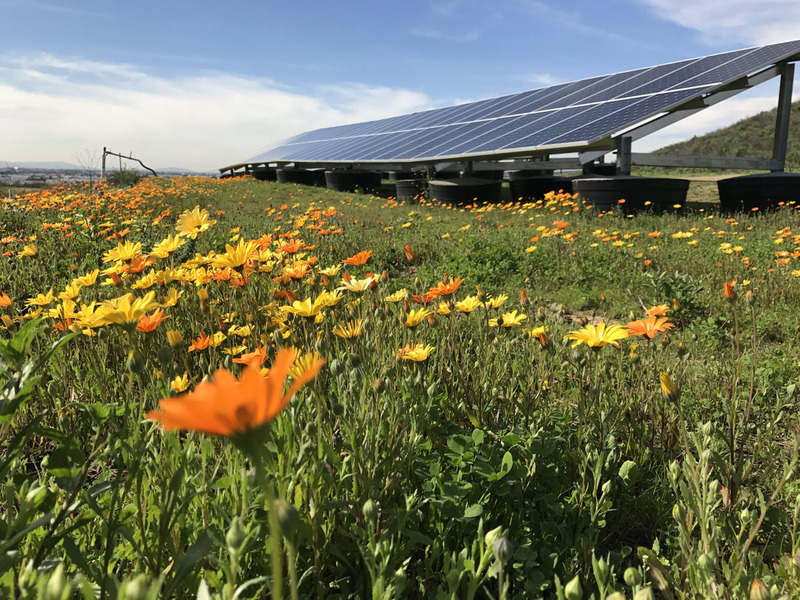 As a consulting resource to larger, utility-scale solar developers or landowners who own environmentally impacted sites, which could be solar-developed. 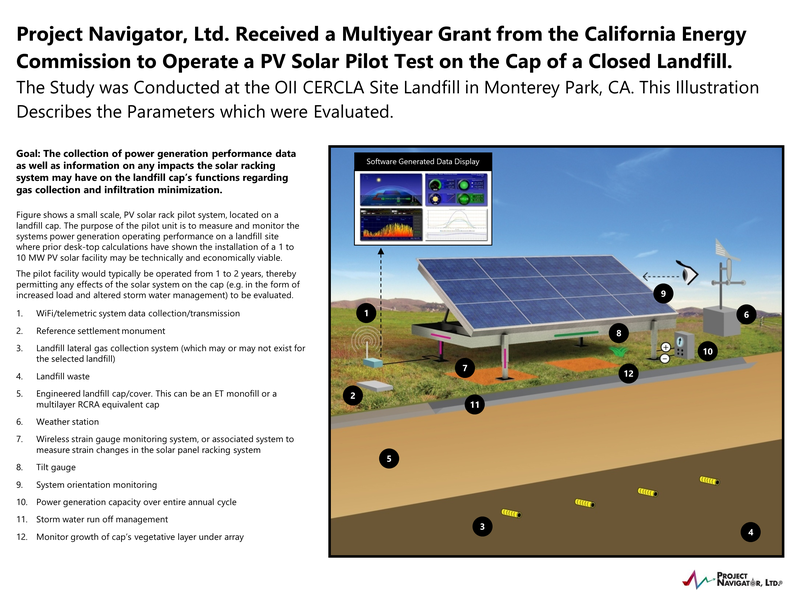 To date, Project Navigator, Ltd. has performed as an owner, developer and investor in 6.2MW of installed PV generating capacity at landfill sites in Southern California and New Jersey. 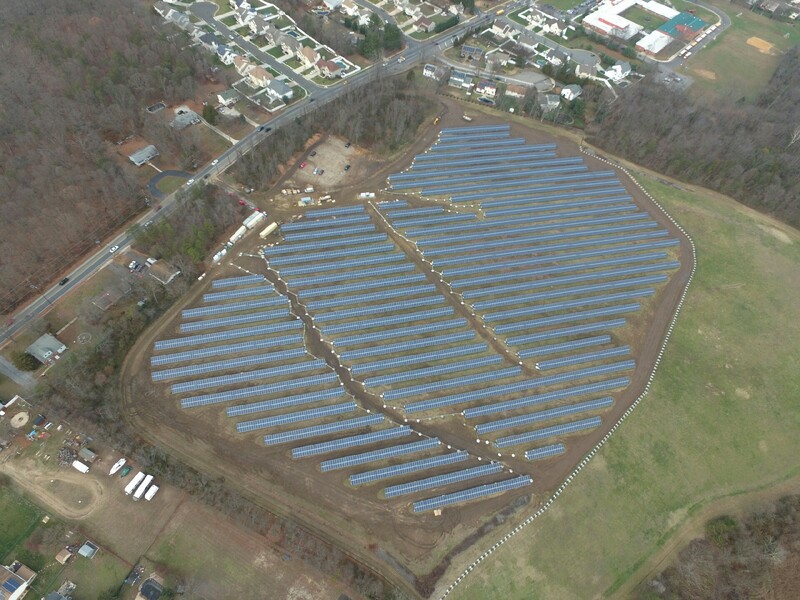 Somerdale Road Landfill Gloucester Township, NJ Project Navigator, Ltd. served as the primary developer, and was responsible for permitting, interconnection, structuring the power sales option, and completing the qualifications for renewable energy credits (RECs). The project was ultimately sold to, and is now managed by, Marina Energy. 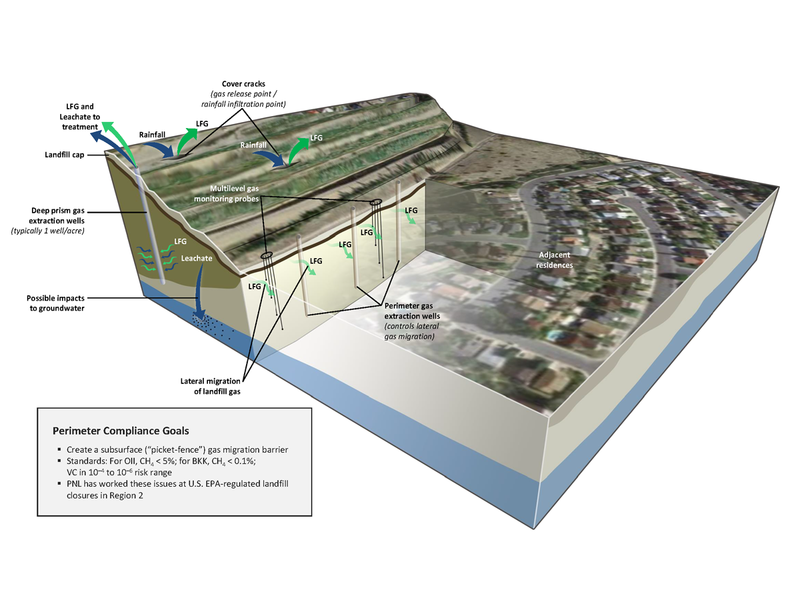 Milliken Sanitary Landfill Ontario, CA Project Navigator, Ltd., as site sourcing partner to sister company, TerraNavigator, performed all site leasing arrangements, permitting (e.g. EIR), and negotiated and entered into interconnection and power sales agreements with Southern California Edison. In 2017, the solar development was transferred entirely to TerraNavigator. View photos of the construction process in our video montage and in one of our talks. 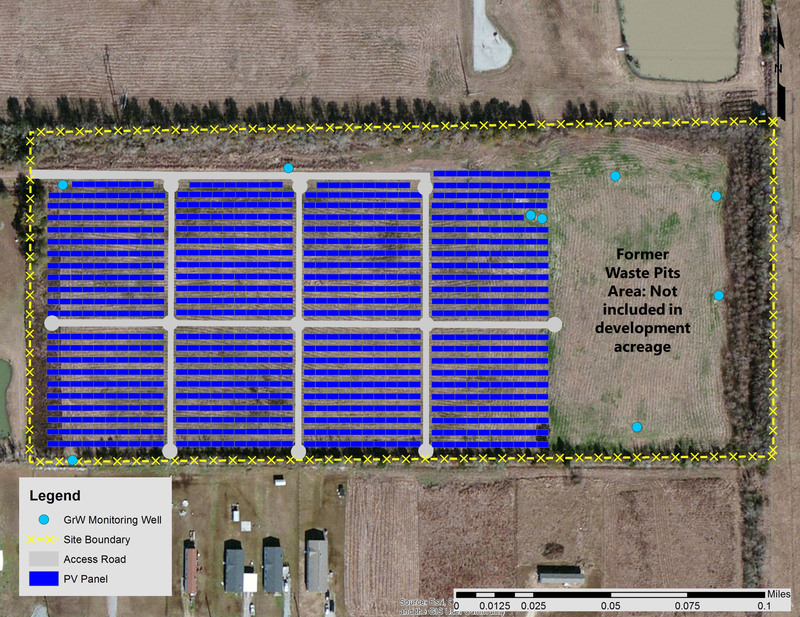 Project Navigator, Ltd. consults for landowners and utility scale solar developers on the feasibility of developing PV solar installations on environmentally impacted land tracts or remediation project sites, such as landfills. 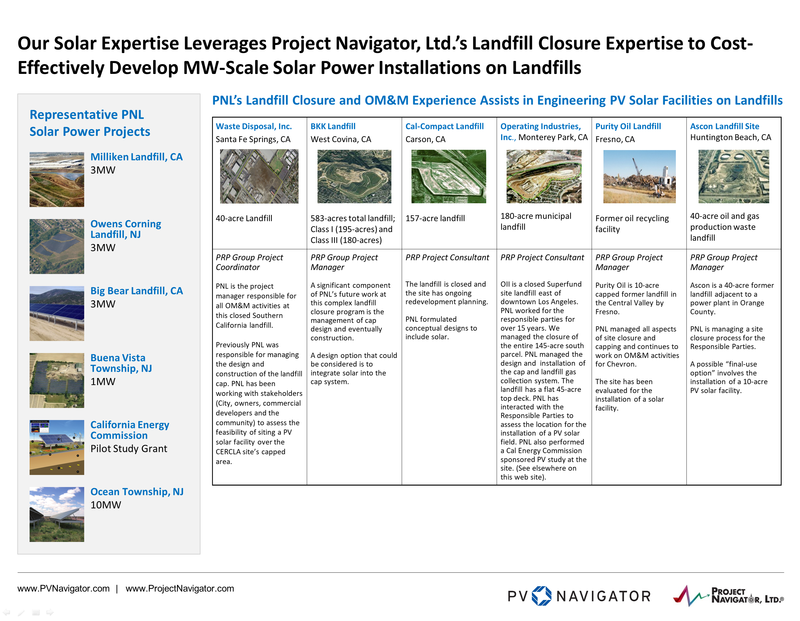 Some Key Projects: Project Navigator, Ltd. Leverages Our Landfill Closure Expertise to Consult On and Develop MW-Scale Solar Power Installations on Closed Landfills. 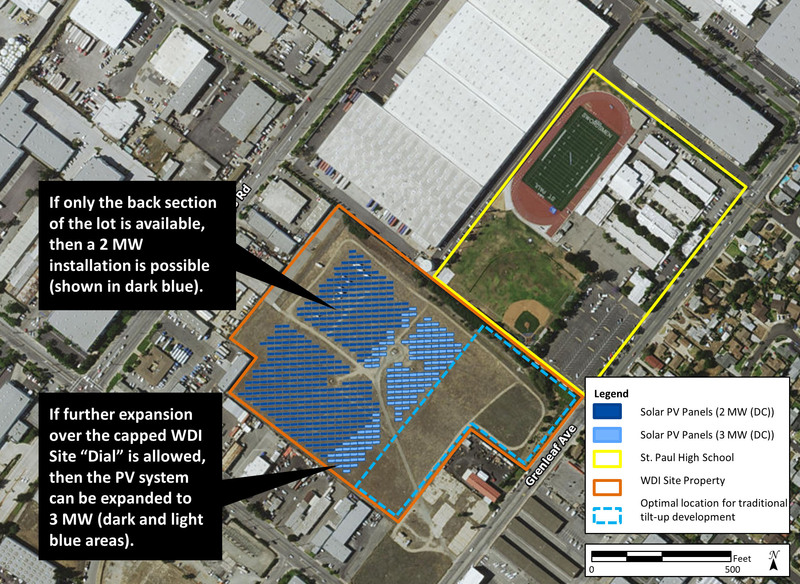 PNL Worked on the Feasibility of a PV Solar Development at the Stringfellow Superfund Site, Riverside, CA. PNL Consulted for Tesoro Corporation (Now, Andeavour) on the Feasibility of Installing PV Solar Installations on the Closed Solid Waste Management Units (SWMUs) at the Golden Eagle Refinery, Martinez, CA. 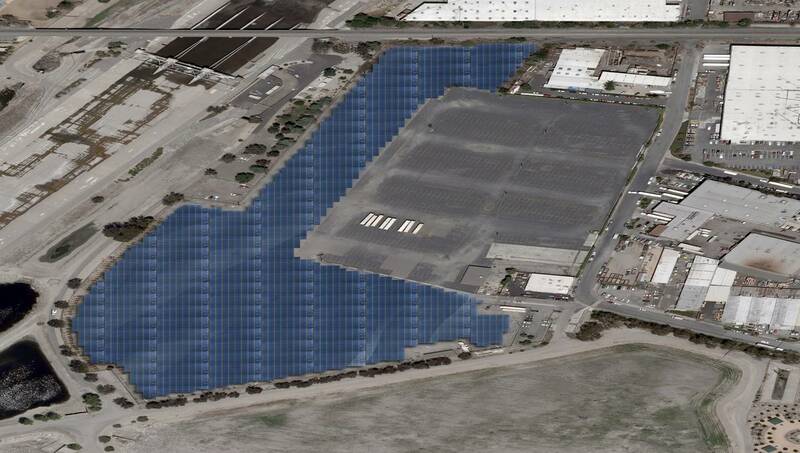 PNL Evaluated a 3MW PV Solar Power Facility for BNSF at a BNSF Site in Montebello, CA. 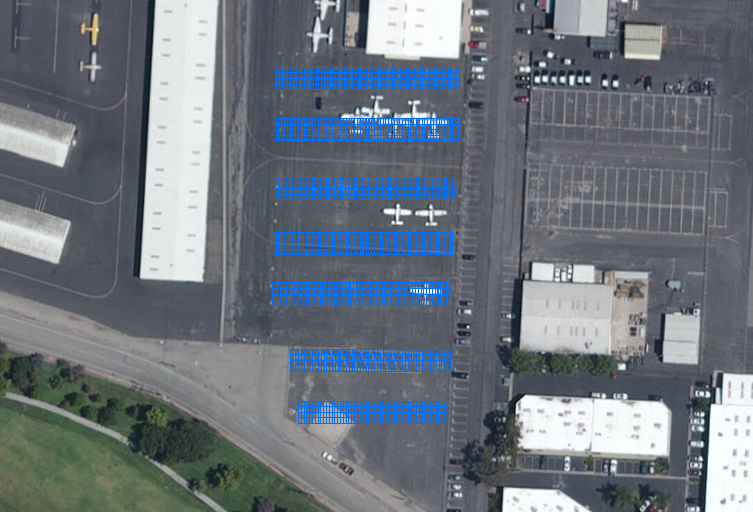 PNL Prepared a Conceptual Design for a PV Installation at the Los Angeles County's Brackett Field Airport, La Verne, CA. 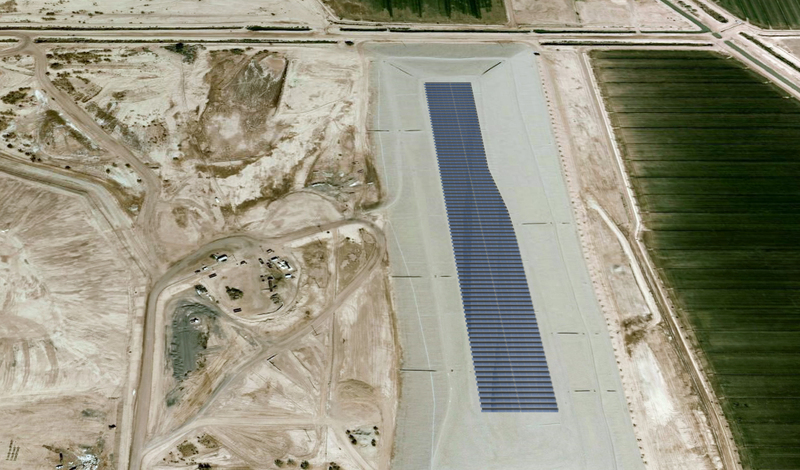 PNL Evaluated the Feasibility of Installing a Solar Power "Cover" on Leach Piles at Coeur Mining's Mine in Rochester, Nevada. 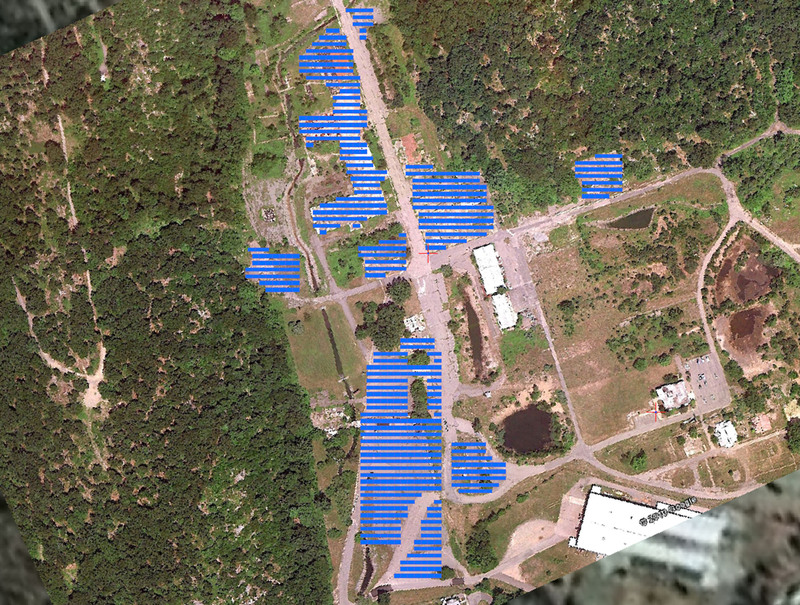 PNL's Layouts for PV Solar Power Installations on Dow's RCRA Containment Cell at Bristol, PA Facility. 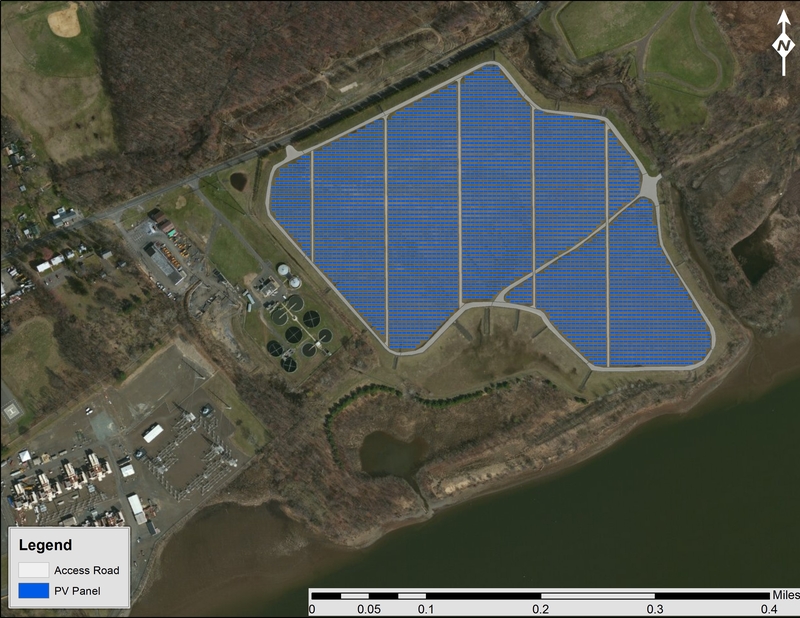 PNL Advised DuPont on a PV Solar Development Plan for Their Former Pompton Lakes Works, NJ. 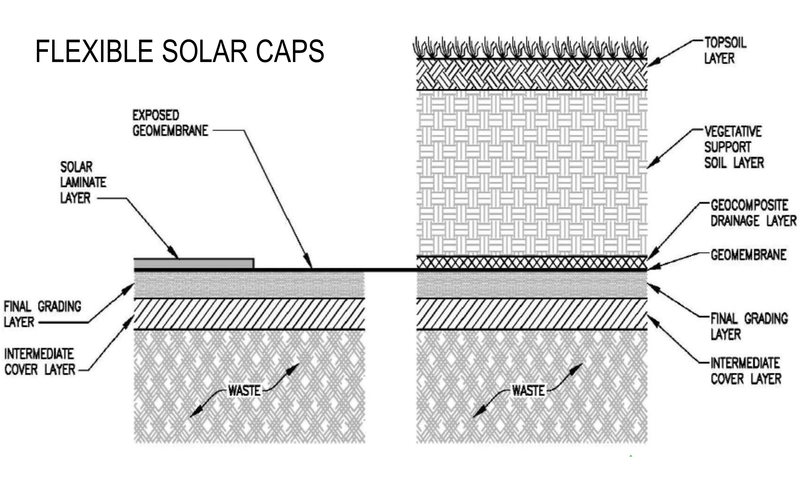 Our Solar Work Leverages Project Navigator, Ltd.'s Expertise in Landfill Cap Design. 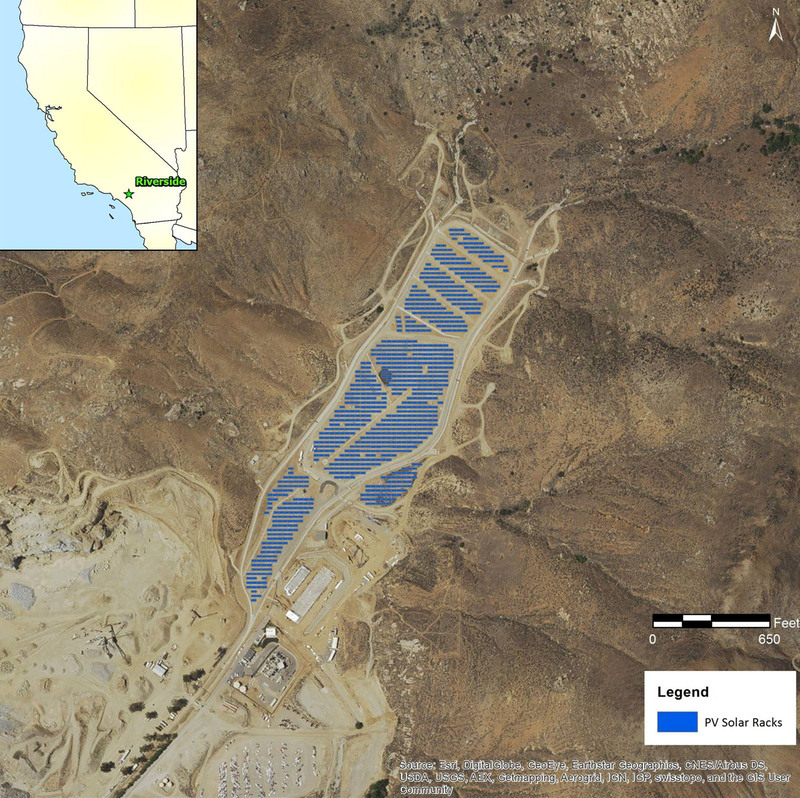 PNL Evaluated the Concept of a PV Solar Development at the Edom Hill Landfill, Cathedral City, CA. 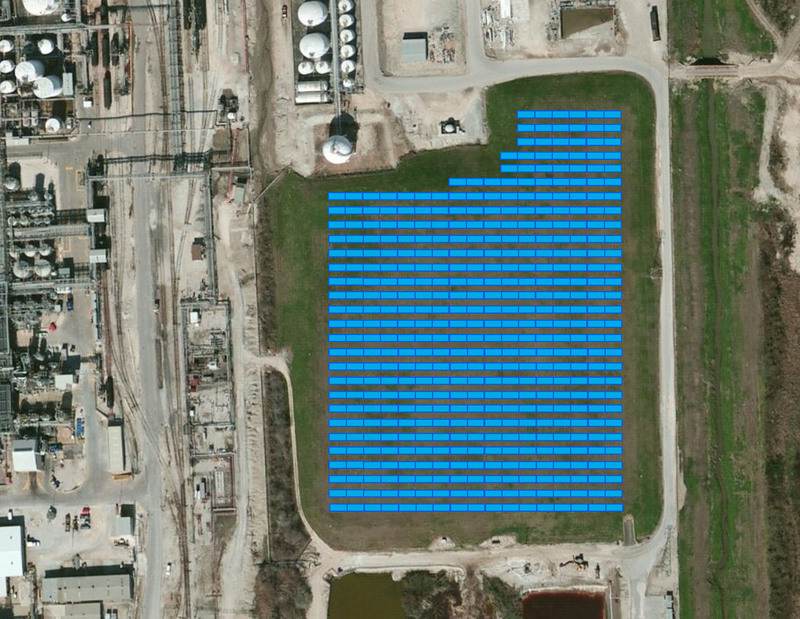 PNL Advised Ethyl Corporation on the Installation of a Solar Facility at their Pasadena, TX Plant. 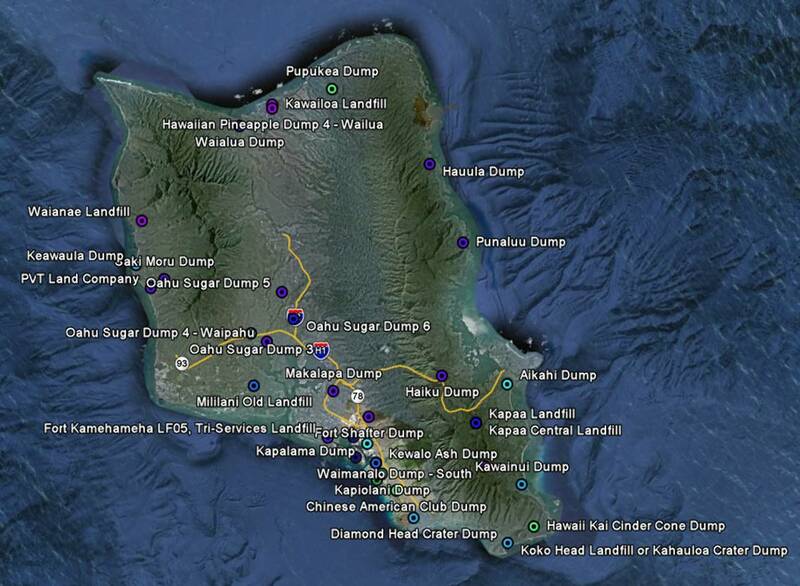 PNL Assisted Gestamp Solar (a Division of ACEK Renewables (Spain)) Define Solar-Feasible Landfills in Hawaii. 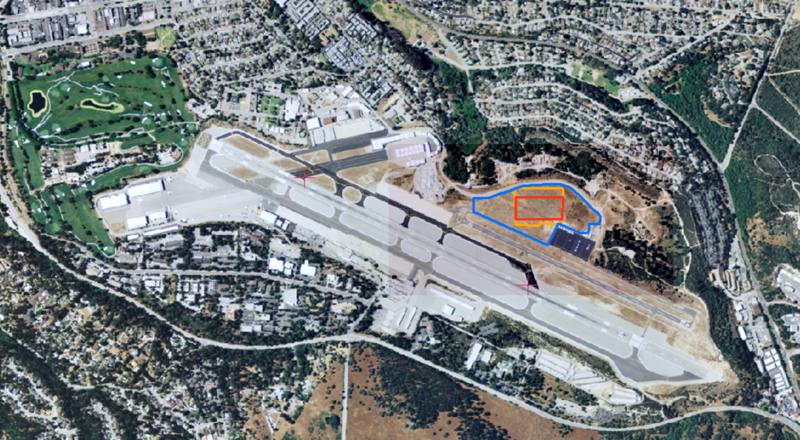 PNL Assisted the Monterey Airport, CA Scope "Small, Medium, and Large Solar Options." PNL Performed a Feasibility Study on the Installation of a 4-6 MW PV Solar Power Installation on the Closed Phosphogypsum Stack at the Mississippi Phosphates Corporation Site, Pascagoula, MS.
PNL Evaluated the Feasibility of a PV Solar Development at the Waste Disposal Inc. (WDI) Superfund Site, Santa Fe Springs, CA. 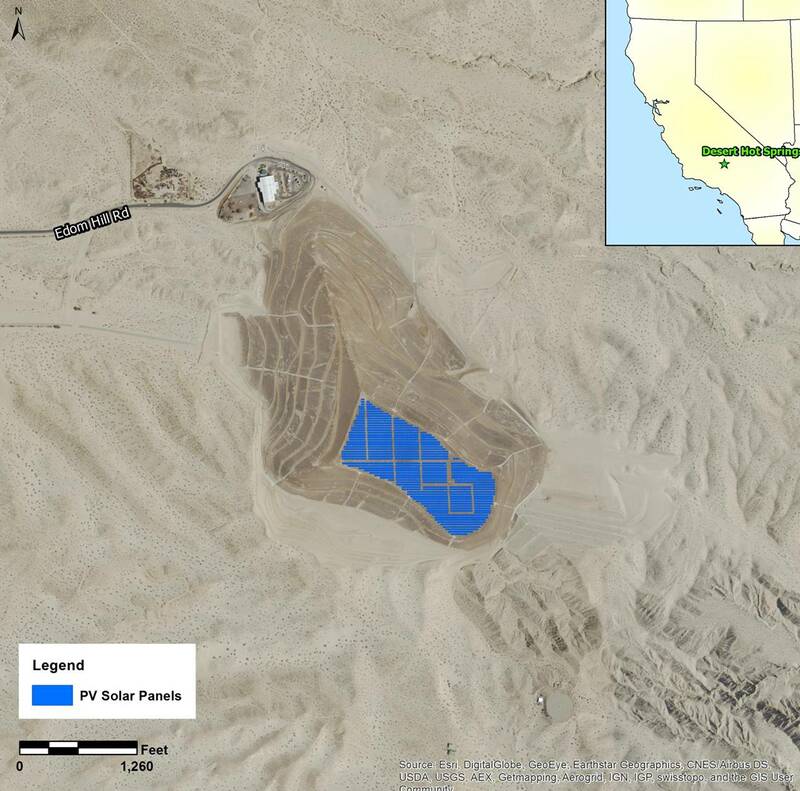 PNL Consulted for Republic Services on the Installation of a 2.5 MW PV Facility at an Imperial County, CA Landfill. 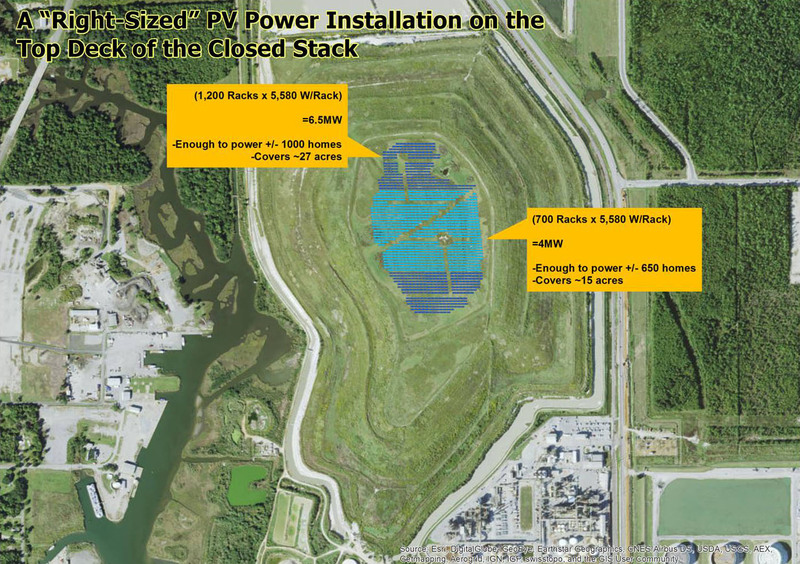 PNL Evaluated the Feasibility of Developing a 2.5 MW PV Solar Development at the PAB Oil & Chemical CERCLA Site, Abbeville, Louisiana. Work was Performed for the PRPs' PAB Site Remediation Group, LLC. 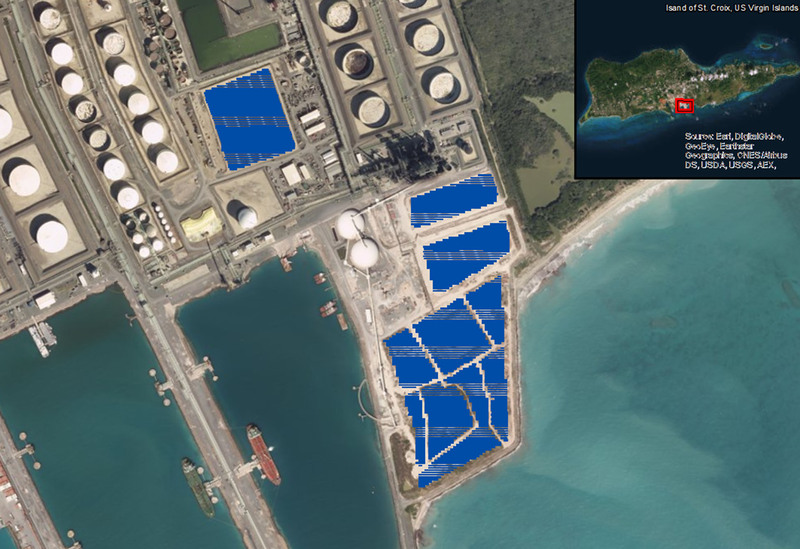 PNL's Proposed Solar Facility at the Former Hovensa Refinery Site St. Croix, USVI. PNL Performs as the Facility's Environmental Trustee. 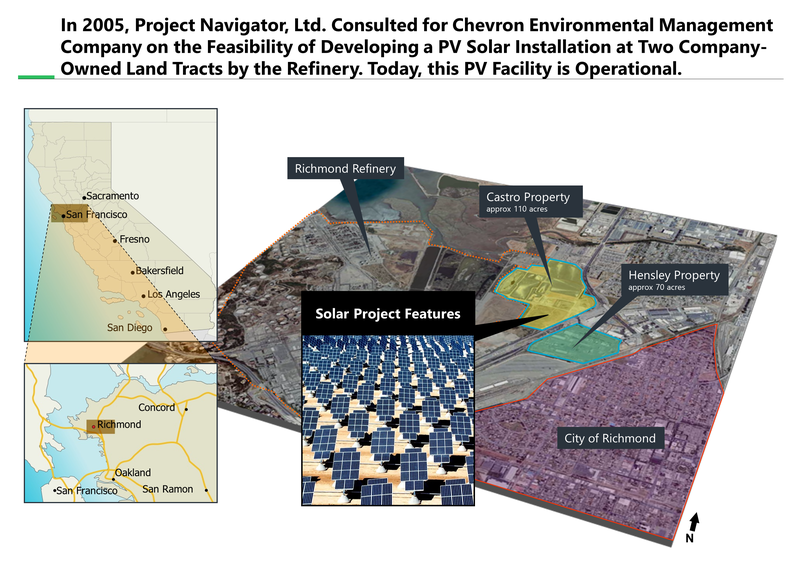 In 2005, Project Navigator, Ltd. Consulted for Chevron Environmental Management Company on the Feasibility of Developing a PV Solar Installation at Two Company-Owned Land Tracts by the Refinery. Today, this PV Facility is Operational. 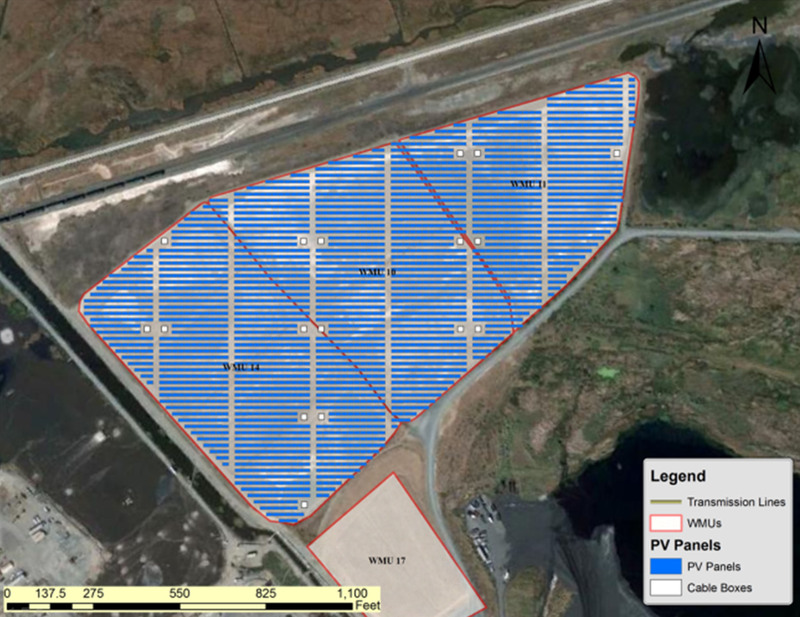 Developing Utility - Scale Solar Power Projects on Closed Landfill Sites: The "Opportunity" Versus the "Challenge"